I almost passed this title off…. but the cover page was intriguing – not to mention the title as well. Then my eyes stopped on the author’s name. The name was known to me… that’s when I recalled reading some of his books earlier in the year. So I double-checked for titles of this author on my Kindle account and there they were…. I had discovered this author out of the blue earlier this year and enjoyed his type of writing. 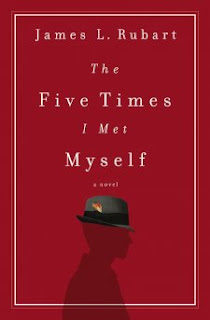 This book – The Five Times I Met Myself – was his latest title. So I read the description of the book and I was hooked. The idea of time travelling via dreams has grabbed my attention. I zoomed through this title – in the midst of homeschooling and Christmas preparation. It was my way of recharging my batteries in a way. I enjoyed the plot and the story line. I have found that the style of writing from James L. Rubart was different than most authors and I particularly like it. It is intriguing to think that the main character could alter the timeline by meeting his past self and giving him guidance. At the end of the book, the main character realized that…. wait a minute I won’t tell you what happened because the book is so good that I strongly suggest to get it to read it yourself. This book is definitively a book to discover in 2016. Take the time to unwind and read it at your own time. Besides, I think you will like the story and would love to discover the other titles he has as well. 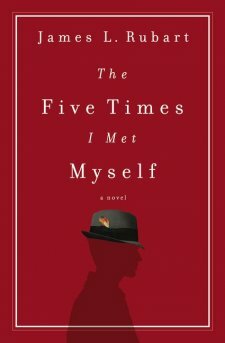 The Five Times I Met Myself is available for purchase at your favorite bookstore even on amazon.ca and amazon.com. The book is also available on Kindle and Kindle app.